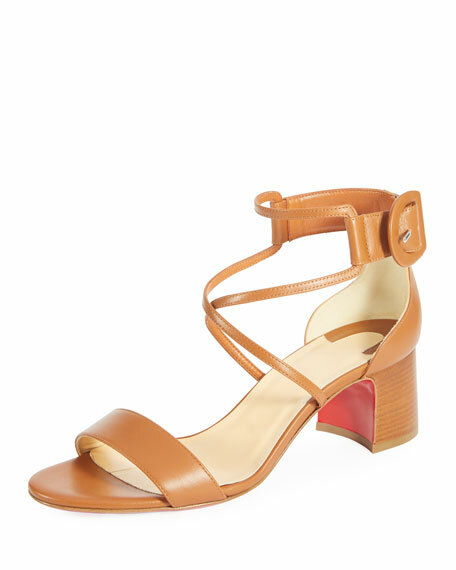 Christian Louboutin architectural sandal in soft calf leather. Adjustable ankle strap with statement buckle. For in-store inquiries, use sku #2365355.